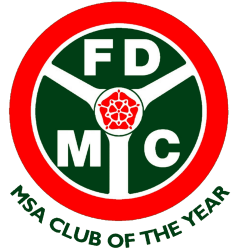 Events which FDMC organises, and is invited to, include the following, and competing in them needn’t be expensive, in most cases; click on these subjects, for more information. Here’s an outline of the minimum ages for competitors, but for full details, check the current regulations with the Motor Sports Association (MSA), or the event organiser. Marshalling is a great way to get involved in motorsport; marshals play a key role in the safety and smooth running of every event, and also get the closest view of the action! As well as our own events, FDMC members run and marshal entire stages on some other major events, up to national level, such as the Wales Rally GB. To find out more, see the Contact Us page.